You may be surprised to learn that anywhere from one third to one-half of people with alcohol use disorder, at any given time, are also suffering from major depression. Unfortunately, too, the vicious cycle of drinking alcohol and being depressed can be extraordinarily challenging to break. But through a better understanding of the connection between alcohol and depression, we can hopefully help ourselves or our loved ones not only break free of this cycle but also forge healthy and happy lives. 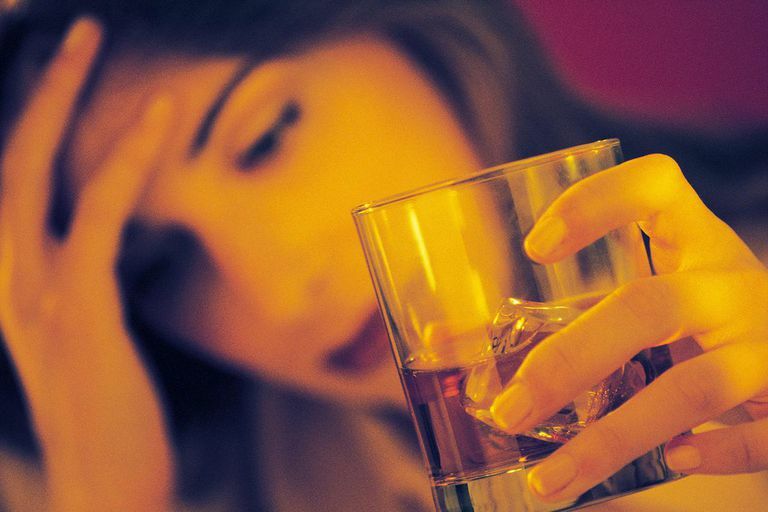 Alcohol Use Disorder and Depression: Which Comes First? Both major depressive disorder and alcohol use disorder are psychiatric illnesses that cause distress to the affected person and an impairment in everyday functioning. So while it's not surprising that these two conditions are linked, you may wonder, which comes first—like the chicken versus the egg theory. In an analysis in Addiction, the investigators found that alcohol use disorder doubled a person's risk of developing major depressive disorder and vice versa. The investigators also found evidence that the link or connection between alcohol use disorder and major depression was causal, meaning one directly leads to the other. Specifically, the analysis found that alcohol use disorder may cause a person to develop major depressive disorder (but not the other way around). This all being said, many other experts have suggested that depression actually triggers or serves as a vulnerability to developing alcohol use disorder. This makes sense too, as most of us can picture, have seen a movie about, or have possibly known a person with depression who drinks alcohol to forget their overwhelming feelings of guilt, sadness, and/or hopelessness. In the end, though, it's hard to say which comes first, the alcohol misuse or the depression. This controversy only highlights the complexity of this relationship and even suggests that it may be unique for each individual. Still, it is important we keep studying the link, in large part due to the heightened risk of suicide that occurs as a result of having both alcohol use disorder and major depressive disorder. According to a study by the Substance Abuse and Mental Health Services Administration, in 30 percent of deaths by suicide in the United States, blood alcohol levels were found to be at or above the legal limit at the time of suicide. In addition, 50 percent of those who died by suicide were suffering from major depression at the time of death. make it easier for thoughts to become actions. In fact, even for people who are not alcoholics, but causal drinkers, alcohol may fuel their suicidal thoughts or behavior. If you are worried you have an alcohol use disorder and/or depression, please seek help from a physician. The good news is that an integrative approach to treating co-occurring alcohol use disorder and depression can be effective. This integrative approach usually entails taking an antidepressant, in combination with therapies like motivational enhancement therapy and/or cognitive-behavioral therapy. Boden JM, Fergusson DM. Alcohol and depression. Addiction. 2011 May;106(5):906-14. DeVido JJ. Weiss RD. Treatment of the depressed alcoholic patient. Curr Psychiatry Rep. 2012 Dec;14(6):610-18. Jacob, M. (2016). Alcohol & Depression. Psych Central.